KNOXVILLE, TENN. (July 8, 2015): Seen by more than 250 million moviegoers annually, the Regal Roller Coaster is one of the most viewed pieces of content in existence. This new creative showpiece was developed by Tombras in partnership with The Coca-Cola Company as a part of their strategic alliance with Regal. The iconic Roller Coaster has been launched into hyper-space through the imagination of the Tombras Group. 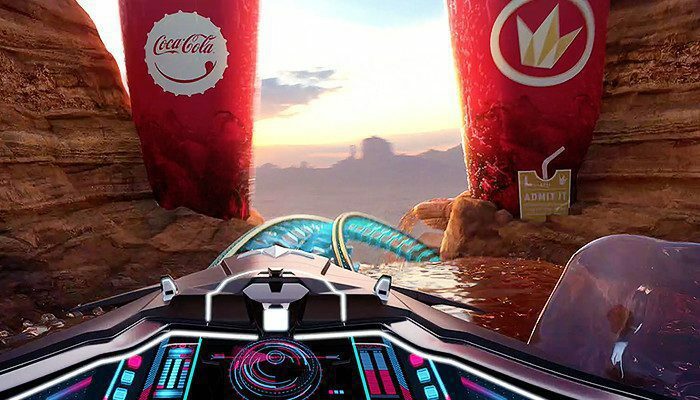 Tombras created a futuristic world featuring delicious film-watching favorite food and beverages including a refreshing river of Coca-Cola, a skyscraper-size Nestle Crunch and popcorn so fresh it explodes off the screen. The finale delivers viewers to a comfortable Regal theater, setting the stage for their cinema experience.